Antique fireplaces, reclaimed doors, door furniture or if you just need something stripping, then your in the right place. We have a large selection of antique fireplaces – Cast iron, wooden, slate surrounds, tiled combinations & inserts, cast combinations……. Over 2000 internal and external doors including: Victorian 4 panel; 1930’s one over three; front doors and glazed internal doors and many other designs. Welcome to Chester Paint Stripping. Chester paint stripping are based in Saughall on the outskirts of Chester, on the Cheshire, North Wales and Wirral border. Located on a farm with ample parking, so no yellow lines or parking charges. We provide a complete paint stripping service for doors, furniture, fireplaces, gates, spindles, architraves with local pick up and delivery available. Offering a reliable service and will advise on the likelihood of any items that can’t or shouldn’t be stripped. With a stock of over 2000 internal and external doors including: Victorian 4 panel; 1930’s one over three, front doors and glazed internal doors. The vast majority of our fires date from 1840 to 1940 covering the Victorian, Arts & Crafts, Edwardian, Art Nouveau and Art Deco periods. With a vast range of different sizes that would complement any room. We don’t claim to have the largest selection of reclaimed fires in the country, but with 500 fires in stock, 200 of which are fully restored and on display, there’s plenty to choose from. Stock is continually being updated from hundreds of reclaimed cast iron fireplaces that are awaiting restoration. Extremely competitive prices and friendly advice. 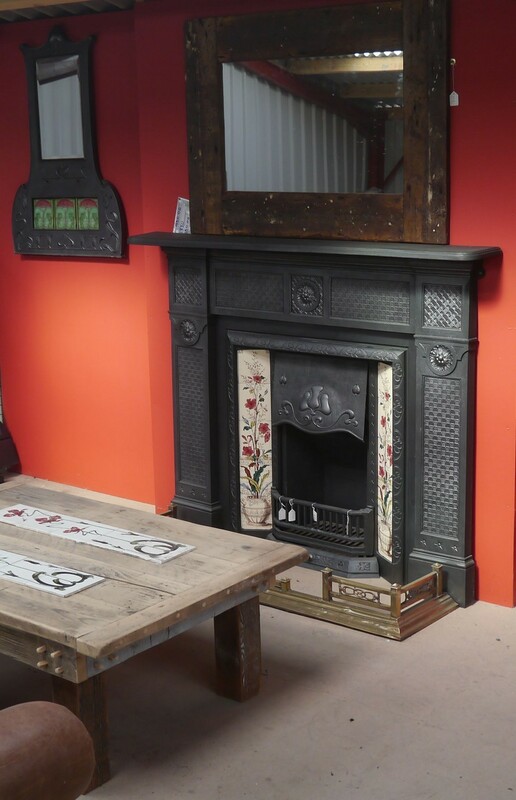 Come and browse or telephone Richard for details on any of our reclaimed cast iron fireplaces. Why choose Chester Paint Stripping?